Shown in the photo (l-r): Commissioner President Randy Guy, Commissioner Eric Colvin, Jessica Hale, Recreation Manager, Pete Cuccinotta, Drug Court Administrator, Circuit Court Administrative Judge Michael Stamm, Recreation and Parks Director Art Shepherd, Former Maryland Delegate Johnny Wood, Commissioners Todd Morgan and John O'Connor. LEONARDTOWN, Md. 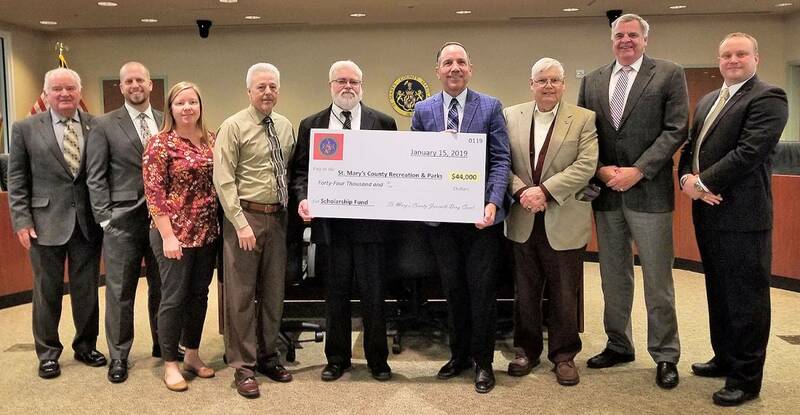 (January 17, 2019)—At their January 15 business meeting, the Commissioners of St. Mary's County accepted a transfer of funds of $44,000. The money represents remaining money for St. Mary's County's Juvenile Drug Court program. The Drug Court Advisory Committee wanted to find a worth source to donate the money. 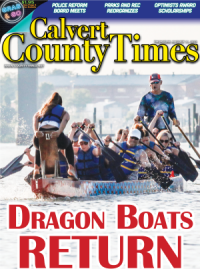 The committee voted to give the funds to the St. Mary's County Department of Recreation and Parks. 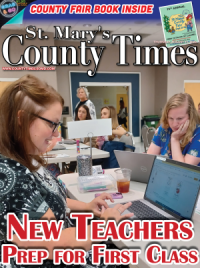 The money will be used to provide scholarships to allow St. Mary's County kids to participate in the department's various programs. The money had previously been used to provide scholarships and occupational training. "This is a wonderful gift for the youth of St. Mary's County," said Commissioner President Randy Guy. "It will allow some kids, who may not otherwise be able to afford recreation and Parks' program, an opportunity to take part without having to worry if they are able to afford it."